Molly here- now on to the most basic of basic bachelorette parties. 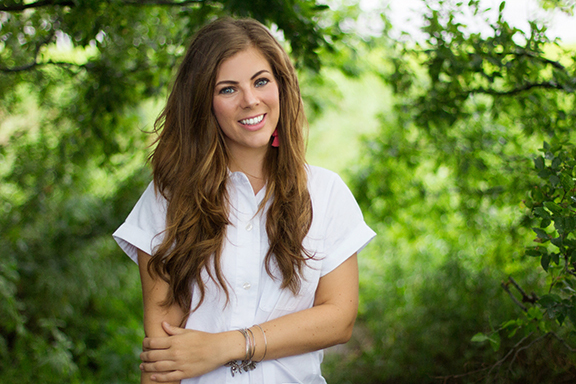 We just wrapped up the most Basic DIY floral party (no, really! We partied at a restaurant here in Charleston called the Basic Kitchen!) We had six ladies that traveled all the way from NYC to party, wine and dine here in The Holy City and we are so thrilled they spent some of their bachelorette activities with us. Since their Airbnb had some uninvited guests (hello, Charleston Palmetto Bugs!) 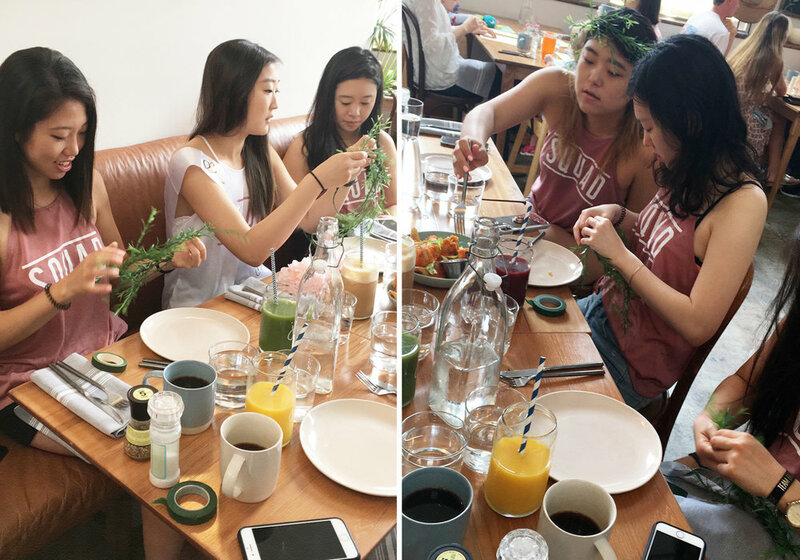 we did a last minute switch-a-roo to host the flower crown party at Basic Kitchen, a Charleston hot spot and MUST for delicious local food, juices, coffee, etc, etc! (so good!) Also if you happen to be there during appropriate times to drink you should def get the beet margarita. One of our faves!! *If you are interested in holding your DIY floral crown party at a restaurant, make sure you call a head and make a reservation/let the host + manager know what you are planning on doing so they can accommodate! 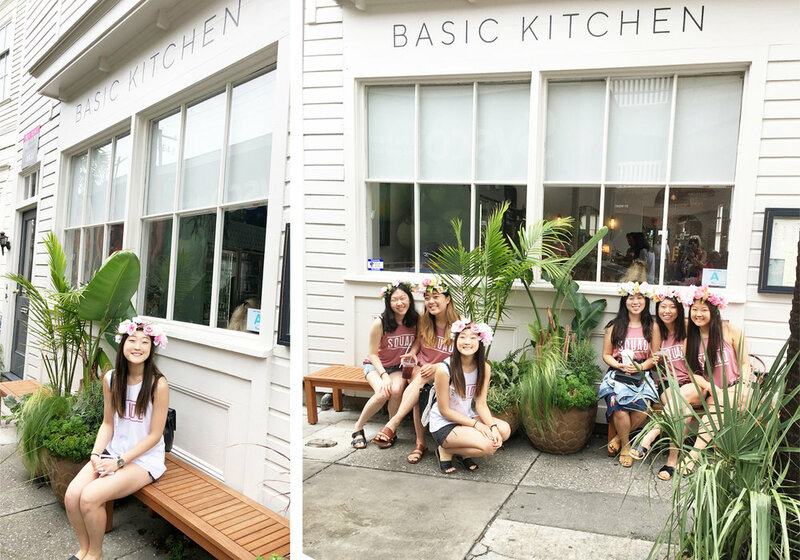 Major shout out to the staff of Basic Kitchen for working with us and being so sweet as we were flower partying!! Table space was a bit limited, but that didn’t stop us from partying! The bachelorette group chose silk flowers so the bride could wear her crown at her bridal shower AND so the girls could wear them all weekend plus when they returned home! How fun and SMART! Ready to schedule your own DIY floral crown bar for a party, shower, girls night? Dates + times are filling up quickly for the summer season, so hurry up and schedule your next floral party!